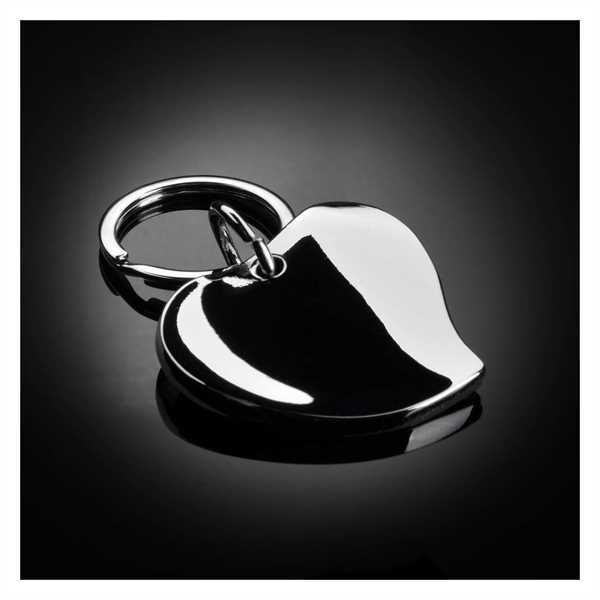 Production Time: 3 business days - A polished chrome metal, heart-shaped key chain. 24hr production not available for direct imprinting. Includes a gift box. Size: 1 3/4 " x 2 1/2 " x 3/8 "